Alan Bender Ltd. | Your local company that offers tradesmen required to complete all building works requirements. From Building Work to Plumbing, residential to commercial, our team are on hand to professionally assist with your construction project. “We just wanted to say how pleased we are with the house, and the work that Alan Bender did was fabulous from start to finish – thanks again so much.” – Mr Abbott. Alan Bender LTD are constantly growing with industry to make sure you get the best results. Welcome to the all-new Alan Bender Ltd website. We thought it was about time that we gave our clients a fresh new design when accessing or enquiring about our services on the company website via Mobile device or Desktop. Please take a look around and enjoy the new website. This is just another step forward for Alan Bender Ltd, providing an online connection for each and every client that requires our professional construction services. We look forward to potentially working with you soon! Founder, Alan Bender and his company have been trading over 35 years. His son, Oliver, now ensures the business is performing to the highest standard alongside his professional team. We use our high levels of knowledge and experience to benefit you in the diverse industry of construction. Our team of experts are friendly and hard-working – they have your best interests in mind. Alan Bender Ltd pride themselves on a high quality service, from workmanship, reliability and job satisfaction. Perhaps you have a specific requirement in mind for your project? We’ll be able to support and offer the best possible advice and service. Contact Alan Bender Ltd today! Alan Bender Ltd have 35 years of extensive experience and expert knowledge of the construction industry. 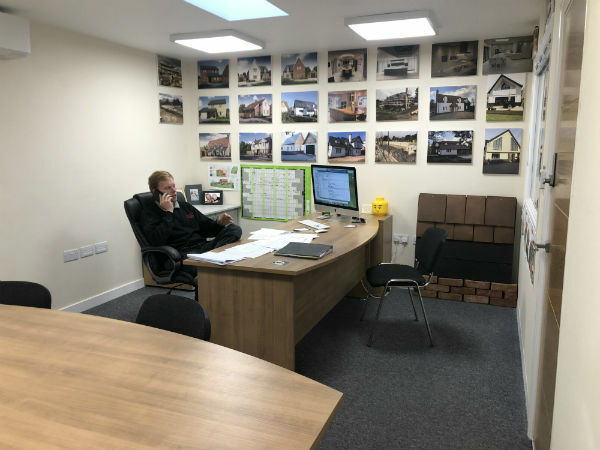 We can assure you with quality work provided by qualified, local, tradesmen with your best interests in mind and working hard to get your project complete quickly and efficiently. Alan Bender Ltd offer a wide range of professional building and plumbing services to satisfy your requirements. 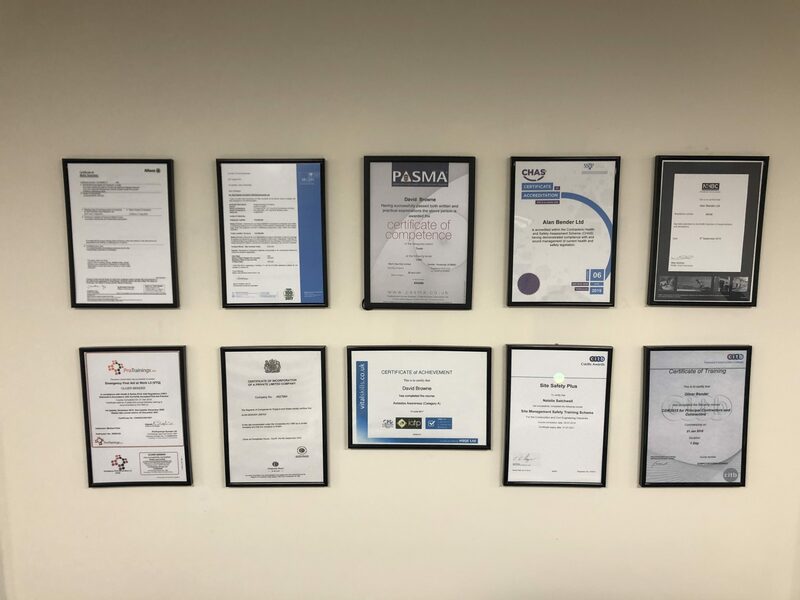 Furthermore, we are proud to be NHBC registered, with high quality electrical and plumbing work completed by NICEIC and Gas Safe registered subcontractors. New Builds is an area of work we specialise in. We are able to collaborate with teams of architects to ensure a high quality build is produced. Are you looking to extend, alter, refit or refurbish your existing premises? Our team are on hand to assist you in developing your ideas, ensuring you achieve an ideal solution. Since 2010, we have provided our professional services to commercial clients. From Schools to Restaurants and anything inbetween, Alan Bender Ltd can help! 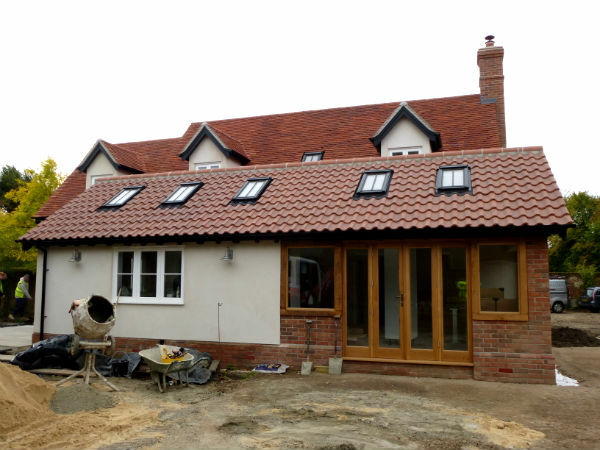 The Alan Bender Ltd team includes specialist Carpenters and Roofers ready to deal with all aspects of the Carpentry & Roofing service we provide. From replastering individual walls and ceilings to a complete plaster and redecoration, Alan Bender are professionals within this specific area. Alan Bender Ltd use Gas Safe and NICEIC registered sub contractors, expertly trained for this area of construction. In addition to electrical installation services e.g modern security systems. Alan Bender Ltd supply services into drainage, fencing, hard landscaping, paths, patios and driveways. We are the experts in providing bespoke Kitchens & Bathrooms at an affordable cost. From tiling, wet rooms, en-suites, master bathrooms to traditional and modern kitchens. We can offer bespoke timber, UPVC or aluminium windows, doors and conservatories in a range of colours and designs to meet with your needs. Submit the details of your project in mind and which professional services you require. We will get back to you with an estimate based on the details you provide and project requirements. We will confirm our availability and which site supervisor will be allocated to you once you have accepted the estimate.